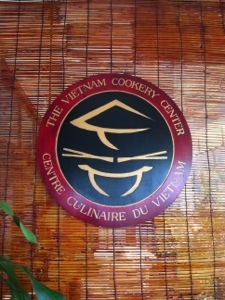 On February 6, our last day in Ho Chi Minh, Vietnam, Mary and I took a cooking class at the Vietnam Cookery Center. 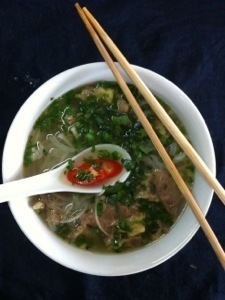 Established in 1999, the Vietnam Cookery Center is the first professional Cookery Center in Vietnam, teaching Vietnamese gastronomy to Tourists and other professional visitors from all over the world. 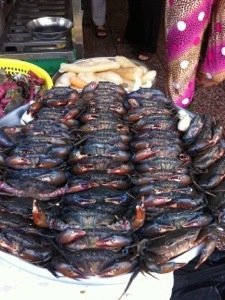 The class started with an informative tour of the local and busiest market in Saigon. We learned about the local produce and traditional ingredients we would be using later in the day. Also because it was early in the morning, we got to see a lot of the local restaurant owners and cooks pick out their produce and meats for the day. The dishes we made: Morning glory and Vietnamese mint salad, pork and mushroom stuffed fried tofu with a sweet tomato sauce, and traditional pho bo (beef pho or Vietnamese noodle soup).